Every summer we seem to be fortunate enough to spend a week or a couple long weekends in New England. 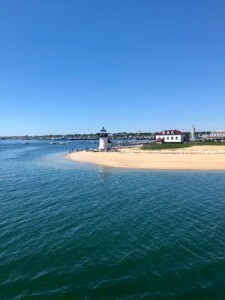 We generally hit Cape Cod, either Nantucket or Martha’s Vineyard, and then end the trip with a few days in Newport. Each summer seems to be getting better and better and yet I know there is so much more to see! As I’m writing this I am also watching our friend and colleague Bo Green post incredible pictures and videos from all over Maine. Follow him on Instagram@bo.on.deck. I’m going to tell you a little about my last trip – and shortly after – start planning our next trip to make sure we travel outside our usual suspects. This last trip was business related as many of our “vacations” are… Our office for the week was in Newport RI at the Newport Charter Yacht Show. 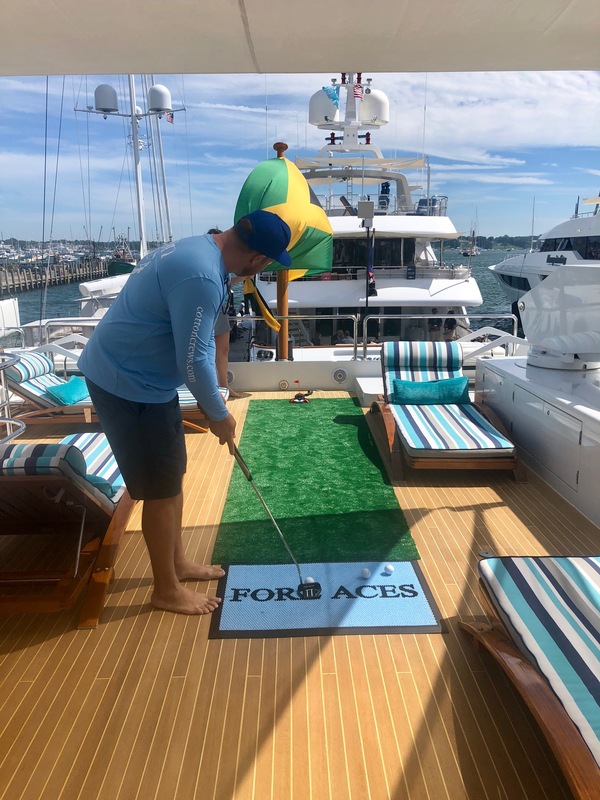 Charter shows are the best; you get to spend quality time with industry professionals, Captains and our favorite yacht Crew! Each yacht crew showcased their specialty cocktails, table settings, themed parties and a dessert dual for the chefs! Thank you Newport Shipyard for hosting a spectacular event. Of course we didn’t spend the entire 5 days working! Here’s what we recommend in Newport. We highly advise staying right in the thick of things – be as close to Thames Street as you possibly can! Eat lobster rolls and clam chowder. One of my first stops in Newport is always The Black Pearl Restaurant for the clam chowder and mussels. Of course, eating Lobster rolls daily can pack on the pounds but one doesn’t hurt – right? Take advantage of the Cliff Walk in the morning to get a bit of exercise. The three-mile path winds around with the ocean on one side and historic mansions on the other. No matter what way you look the views are incredible! After our first morning cliff walk we fell in love with a great breakfast spot called Cru. While we tried to stick to eggs, meat and coffee, the pastries looked too good to pass up! Cru you officially have my favorite cookie the Chocolate Chip & OREO crumble cookie. I’m booking my tickets to go back now just thinking about it! Are you ready for the most relaxed spot with the best view in Newport? 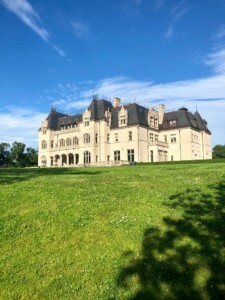 Do not miss having a drink and bite to eat at The Lawn at Castle Hill. It’s exactly as it sounds a lawn behind a castle on the hill with a view of the ocean and entire Newport Harbor. White Adirondack chairs are sporadically placed facing the water. Enthusiastic girls on summer break come around serving great small bites and your favorite cocktail. It can be hard to beat the views from Castle Hill, but it can be done if you love boating as much as we do! Our absolute favorite way to see Newport is by water. That could be tough without a boat but if you have already had your clam chowder at The Black Pearl you would of seen various Schooners and Rum Runner boats that tour the Harbor while serving up cocktails and a bit of history. If you are like me when traveling you will want to take in a bit of history. 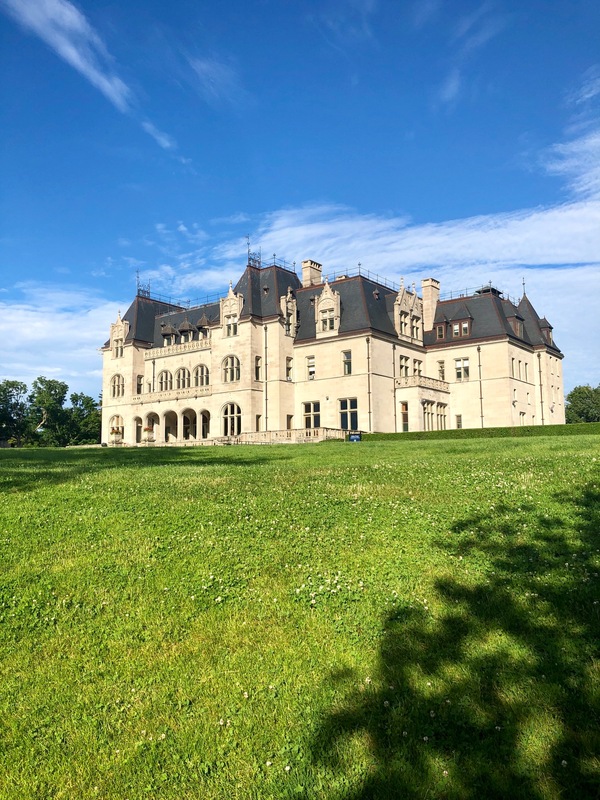 Each visit I like to tour a different mansion to see how some of the wealthiest families in America use to spend their summers. You wont believe the size and details of these summerhouses! Our favorites so far are The Elms and The Breakers owned by the Berwind’s and Vanderbilt’s. Each tour talks about the specifications of the houses, designers, number of staff members it took to run and most interesting to me the history of these great families. We will always love Newport, Rhode Island. It’s the perfect place to mix business with pleasure during the summer season. 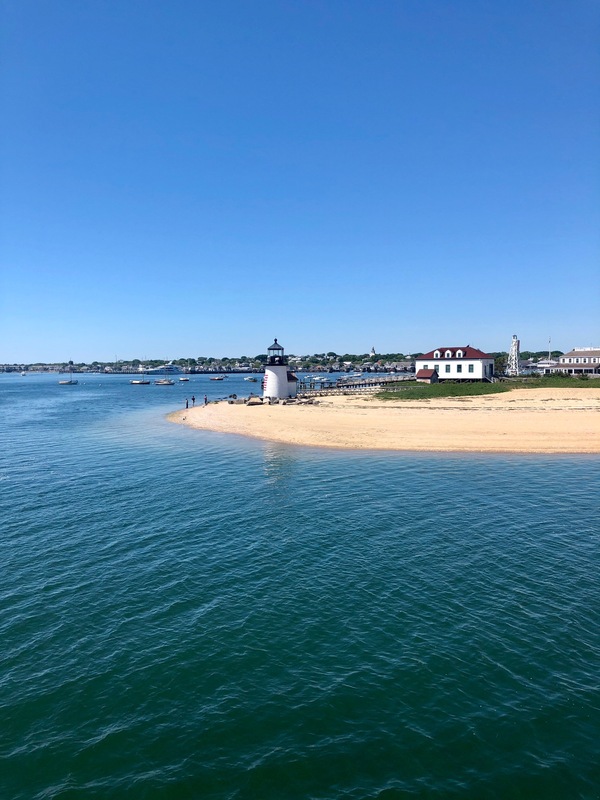 Next stop is Cape Cod and the Islands!